On its way to national preeminence, Tumbler Ridge vaulted past Golden in Round 1, Blue River in Round 2, Revelstoke in Round 3 and Sicamous in Round 4, the provincial finals. In Round 5, Tumbler Ridge, B.C., (16,938 votes, 51 per cent) beat Edson, Alberta, (16,820 votes, 49 per cent) by a nose—or rather, the tip of a ski—in a photo finish. In Round 6, the finals, Tumbler Ridge galvanized Western Canada to amass 51,553 votes, to outlast Flin Flon, Manitoba, 51,296 votes in an epic final showdown. If you feel there’s a more deserving SledTown ShowDown champion waiting in the wings in 2020, make sure you have your voting fingers at the ready during the fall of 2019. 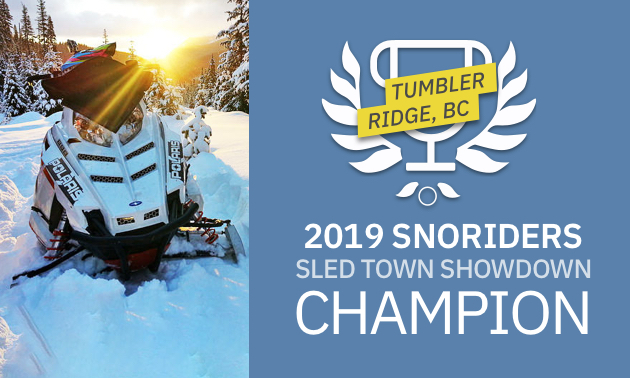 Until then, Tumbler Ridge will reign supreme as Western Canada’s SledTown ShowDown winner. 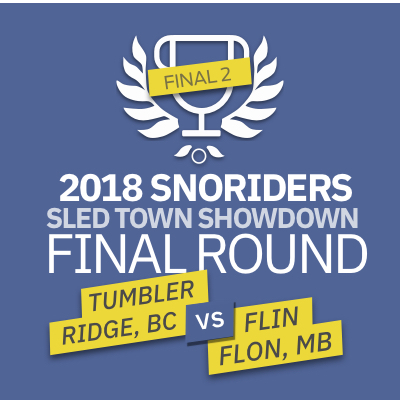 See how the SledTown Showdown went down by visiting SnoRiders 2019 SledTown Showdown history. Read more about what makes Tumbler Ridge such a great Sledtown. Have you road the Tumbler Ridge snowmobile trails? We would love to see your photos, and you can send them to be entered in our monthly Hot Shot contest. 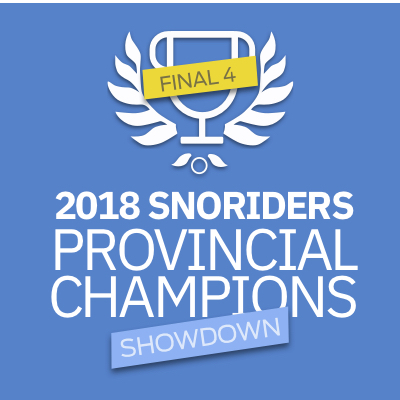 SledTown ShowDown SledTown ShowDown Round 5: Provincial winners duke it out!